Tenerife is the largest and most popular of the Canary Islands. It has a gorgeous year-round climate, beautiful beaches, and plenty to do and see! We asked Lisa Roberts, qualified Nanny and Founder of “Tenerife Childcare” to help us put together some ideas for the “Best Things to Do with Kids in Tenerife”, for those of us jetting off there on our Child Friendly Holidays. There is so much to see and do in Tenerife. Here are a few ideas for the Best Things to Do with Kids on the Island…. El Teide (Mount Teide) – a must see in Tenerife with it being the highest peak in Spain (3,718 metres). It is both beautiful and grandiose. Siam Park Water Kingdom – The newest and largest water park in Europe. It is open to all ages but there are many height restrictions, so I would advise taking kids from 7/8 years upwards, although they do have a small play area for those who are younger. If you book the Green Garden Apartments via Best Child Friendly Holidays, you’ll get Free Entry to the Water Kingdom! 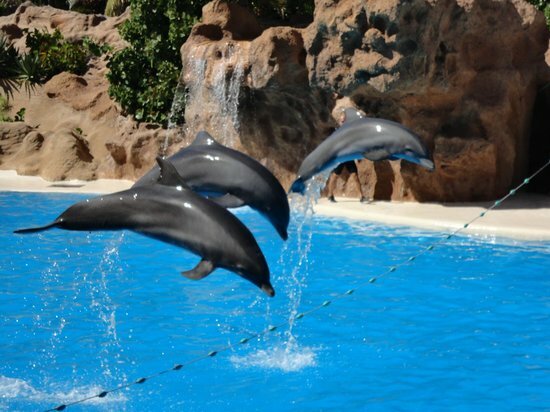 Aqualand – Another great water park in Tenerife that is more suitable for the little ones and fun for all the family with a fab dolphin show each day at 3pm, which kids love. Monkey Park – Here you can bring food and feed the monkeys! If you wish to do this I would suggest getting there early so the monkeys are more energetic and hungry. Loro Parque – Tenerife’s gigantic Zoo based in Puerto del a Cruz in the North of Tenerife with so much to see and do. It is a full day out so if you want to see everything and all of the shows… Get there early. Tenerife has so much more to offer, I have literally just touched on a few things of interest but the best way to explore Tenerife is to be there!! !